"What is A Good Euphonium Mouthpiece Size for a Student?" 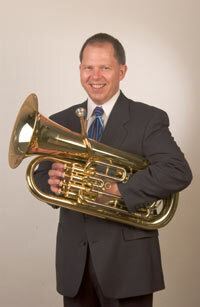 The Bach 6 ½ AL is one of the best mouthpiece sizes for euphonium students. It is a good, medium-deep size mouthpiece that will continue to be the right size for many students as they get older. Some students will need to move to a larger mouthpiece by high school, such as a Bach 5G, but many will not. For those euphonium students needing a larger mouthpiece, the Bach 5G is a good choice. It is a deeper mouthpiece that will sound very full on euphonium. This is usually a better choice for high school euphonium students. So is a Schilke 51, or a 51D for something even deeper. If you use a large bore euphonium, you will have a greater selection of larger size mouthpieces. The Bach 12C is really too small for euphonium. It will work, but it's not the best choice for a full euphonium tone.